For a cozy and delicate alternative to a leather harness, try our vegan-friendly elastic harness! 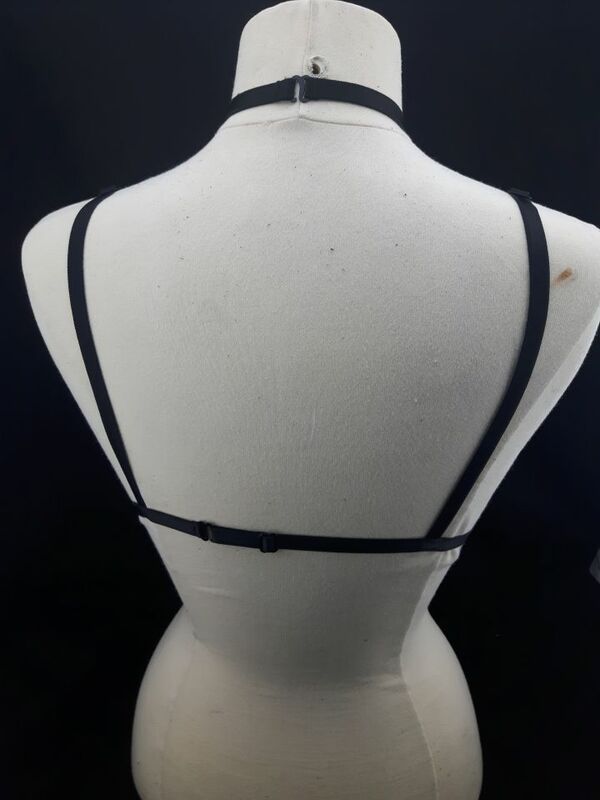 The Choker Bra Elastic Strap Body Harness is meticulously handmade in Montreal with Premium quality couture elastics. Wearable under and over your clothing, and it’s adjustable for a perfect fit. Channel your inner Goddess. You can wear it over your Bra as lingerie accessory, under your favorite Top with the choker piece poking out and even over a nice little dress.